Pursuing a mortgage modification can be a difficult and confusing process. The Fairfax title company agents at Mathis Title Company have the knowledge to help you significantly reduce closing costs on your refinanced mortgage when available. When complicated situations arise, choose the professional support of the Mathis Title Company attorneys and title agents for guidance on the best course of action. A variety of legal issues can arise when undergoing a mortgage modification. Considerations concerning availability, contract terms, and state laws should all be taken account when deciding to refinance a mortgage. Negotiating a new contract can also be an arduous task, especially for inexperienced borrowers. Mathis Title Company’s refinancing services can help you avoid disputes or a loss of borrower rights. Mortgage refinancing involves taking out a new loan that will replace your old mortgage. Homeowners often refinance their mortgage to lessen their monthly payments, pay lower interest rates, or switch to a fixed rate mortgage from an adjustable rate mortgage. Many other individuals refinance in order to have the necessary cash to pay for home remodeling or renovation projects. 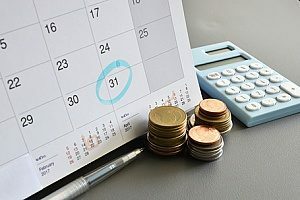 Additionally, mortgage refinancing provides homeowners with the ability to pay off any debts they may owe by using their home equity to leverage the cash they can receive. 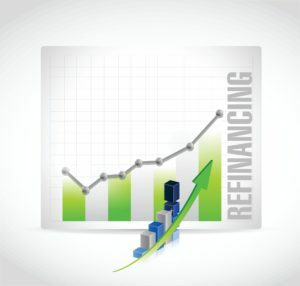 Refinancing your home follows a similar process you followed to obtain your first mortgage. When applying for a new mortgage for your refinancing goals, make sure to thoroughly research all your options for obtaining the best loan with the most favorable terms for your home. You will also need to provide the correct documentation and submit an application for refinancing before you are granted approval. Mathis Title Company can guide throughout the entire refinancing process from start to finish to ensure your home refinance is successful. With a refinanced mortgage, you can save money for other expenditures or debts you may have that you would like to pay off quicker. Many homeowners have reported saving on average $160.00 on their mortgage through refinancing. With this extra cash, you can even use your savings to pay off your mortgage even sooner. 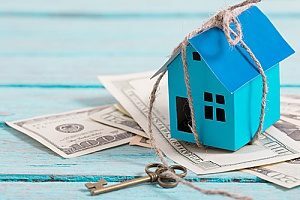 Homeowners whose property has appreciated enough over the course of their homeownership or have paid off the principal on their first mortgage may be able to avoid paying private mortgage insurance. With mortgage refinancing, you can reduce your monthly payments that go towards private mortgage insurance. Many homeowners take out their first mortgage on 30 year terms. When you are a first time home buyer, this usually makes the most sense, however some reconsider and choose to pay off their mortgage sooner. Refinancing your mortgage can help you do so. You can adjust the terms to reduce the length of your loan and have the ability to make payments that are favorable to your financial goals. With an adjustable rate mortgage, you are bound to the changes of interest rates on the market. If interest rates increase or decrease, so do your mortgage payments. For many homeowners, when interest rates spike, they are forced to make higher mortgage payments than they may be able to realistically afford. Refinancing your home by switching to a fixed rate mortgage can give you the stability and security you need in knowing you can afford your monthly payments. It can prove very beneficial to consolidate your home equity line of credit (HELOC) and first home mortgage into one payment. Doing so will help make your home financing easier when you only have one monthly payment for home debt. HELOCs will often come with the risks of adjustable rates, so consolidating your credit into a single fixed rate mortgage has the potential to save you money in the future. If the value of your home has steadily increased, you may have enough home equity to refinance your home with a cash-out refinance. This replaces your existing mortgage with one that requires a higher due balance, but often with more favorable rates and payment terms. With a cash-out refinance, you recieve the difference between the two loans in cash value. This extra cash can prove useful when you need to fund home improvement projects, make expensive purchases, or for any other financial need. If you do not have the time or energy to dedicate to the process of refinancing your property, seek the assistance of experienced title agents and attorneys. Mathis Title Company will give you personalized assistance and handle responsibilities including ordering title searches, preparing title commitment, preparing closing documents, working closely with mortgage lender, and more. Contact Mathis Title Company to consult with our qualified attorneys and title agents.